This year’s E3 has truly turned out to be a show of surprises, at least on the hardware front. Because while many pundits were predicting that Sony would unveil their new, more powerful PS4 console model (codenamed “Neo”), this did not turn out to be the case, and the Neo was nowhere to be seen at E3, although Sony has at least admitted that such a console is in the works. Also, those in the know were expecting Microsoft to announce a new, slimmer Xbox One model, which the Redmond giant in fact did… But what was not on the cards for many was Microsoft going ahead and announcing their fabled Xbox “Scorpio” console, which is rumoured to be up to 4 times more powerful than a vanilla Xbox One. But Microsoft actually did so, with Xbox boss Phil Spencer coming on stage and unveiling “Project Scorpio” to the world, the “most powerful console ever built” according to Spencer. 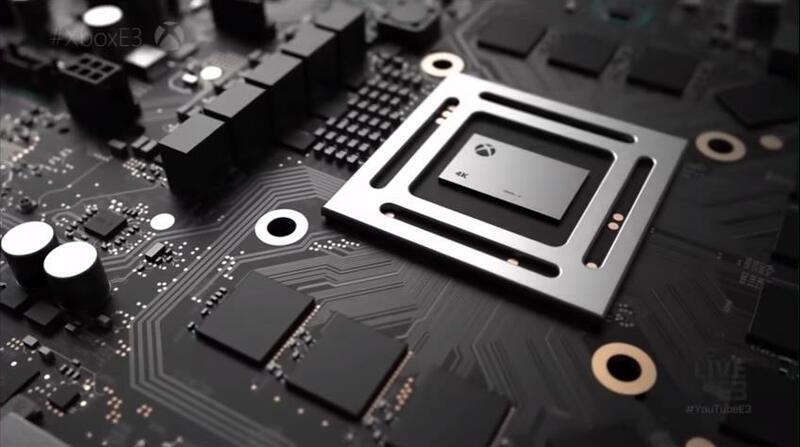 With this new console Microsoft aims to end the ongoing narrative about the Xbox One being underpowered when compared to the PS4, with many games running at lower resolutions on Microsoft’s console vs Sony’s. Actually, this new machine will offer true 4K or ultra-high definition visuals according to Spencer, and will also be a powerful console for virtual reality. In this video we see well-known game developers like Bethesda’s Todd Howard extoll the virtues of the Scorpio, with Howard even anticipating that we’ll get to see their role-playing hit Fallout 4 in VR thanks to the extra power of this new console. And Phil Spencer also announced that the new console will be backwards compatible with the other Xbox consoles, with Microsoft’s Xbox boss stating that “no one gets left behind”. This likely means there won’t be any exclusive games for Scorpio, and perhaps developers will have a hard time making the most of the new console’s power given that games will also have to run on the original Xbox One, which is significantly less powerful. The Scorpio console will be released in late 2017, although Microsoft has not revealed yet how much the new machine will cost, but it is clear that with this reveal the Redmond giant has outplayed both Sony (the Japanese company kept tight-lipped about their new PS4 Neo console), and Nintendo, which did not show its upcoming NX console at this year’s E3. So now gamers will be spoilt for choice when it comes to video games consoles, and with Microsoft, Sony and Nintendo releasing new powerful consoles next year, it sure promises to be an interesting one for gaming.